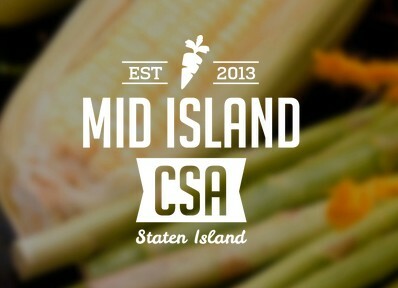 The Mid Island CSA (MICSA) is an all-volunteer community run organization that partners with Farmer John Krueger from Circle Brook Farm in Andover, NJ to provide organic produce to the Staten Island residents who pay for a produce share. The MICSA host site, Christ Lutheran Church, offers a location for the MICSA community to distribute the produce they receive from Circle Brook Farm. Distributions are every Thursday evening between 530pm and 730pm between June and November for a total of 22 weeks.